Enjoy a luxurious stay for a fraction of the cost. Typical savings range from 30-70% when comparing our rates to direct resort bookings. All of our units are managed and maintained by the resort. Upon arrival, guests will check-in at the resort’s front desk using their resort confirmation # just as if they had booked directly through the resort. Full access to the resort’s services and amenities are included with every reservation. Experience “Nanea” - a state of relaxation and repose - firsthand at The Westin Nanea Ocean Villas! 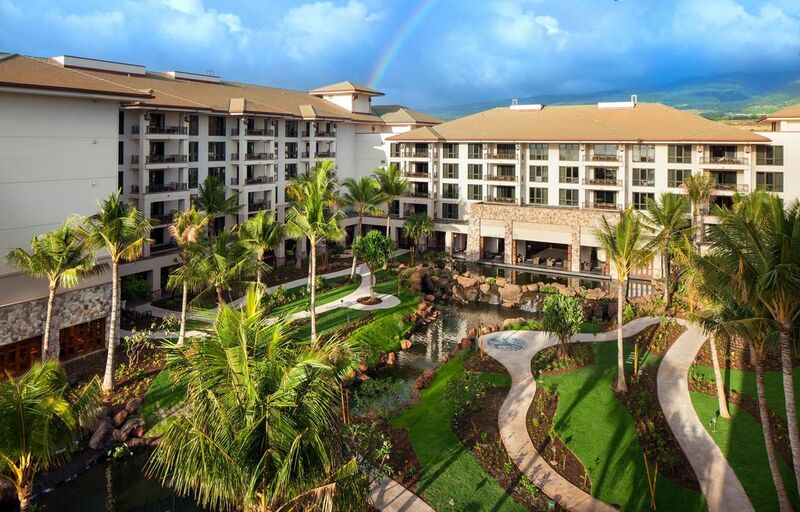 Set on twenty-six acres of lush, tropical land and infused with a variety of Hawaiian design elements, The Westin Nanea Ocean Villas blends a top-notch vacation experience with the authentic history and culture of Hawaii. Amenities include a 10,000 square foot lagoon-style pool with an upper pool, children’s pool and play area, two plunge pools, whirlpool spa hot tubs, three oceanfront cabanas and a WestinWORKOUT fitness studio. A full-service restaurant offers ocean views alongside a menu of Hawaiian and international cuisine, plus the Westin brand’s signature SuperFoodsRX menu with nutrient-rich and delicious options. The pool bar provides a relaxing setting to enjoy oceanfront views, cocktails and lighter fare. In addition, experiences like adventure rafting, helicopter tours, parasailing, scuba diving, zip lining and a Wailele Polynesian luau can all be booked for an additional fee. The resort's villas will feature the world-renowned Westin Heavenly Bed – featuring lush sheets, down cushioning and a patented pillow-top mattress, which cradles and contours to the body for complete comfort. Guests will revive in the Heavenly Bath enhanced with the brand’s Heavenly Shower, Heavenly Robe and White Tea Aloe bath amenities, in-room and high-speed Internet access. We had a two bedroom unit. You have access to all of the pools at the Westin. It is truely a family friendly resort.